As early as now, let’s be clear with one thing. I have no xenophobia nor a prejudice against a nationality. I am merely sharing my experience so others can learn from it. And yes, the issue was resolved in spite of many frustrations and communication barriers. By far this is the longest blog post in the making. I had to wait for a problem to be settled after eight months. I still can’t imagine how I had the patience to last that long without losing my cool, although I had plenty of sighs and “This too shall pass.” And hummus, ice cream, and pita bread. I am writing this post as an Amazon.ca buyer from Canada. The scenarios I mentioned may have similarities or not in other countries. It’s hard to tell that the seller is from China until you pay and can then track the progress. Items are affordable but shipping fee is charged most of the time. The delivery takes a month or more. So keep calm and wait for the item. Communication in English can be a challenge for some sellers. But they do reply, although I had to decipher to understand for a minute the meaning which rarely happens. My epic challenge will begin next, so I appreciate your sympathy as fellow online shoppers. Sometimes, I ordered items that were shipped from China although I wish I could have found a seller closer to North America. And last month, it happened to me again and so I patiently waited. After a month of waiting, I finally had the item right in front of me. I was excited to try it on. It fits all right. One and a half of me could fit inside. Instead of XS, I received a XL jacket. No matter how many times I checked the invoice, I am not at fault. I ordered the right size. For the first time in the history of being an online shopper, I knew I had to request for a refund on Amazon.ca right away. Tip: Before you request a refund, contact first the seller who could offer a deal or arrangement beneficial for both of you. That’s what I was hoping for but the seller offered not to give back half of the payment while I keep the jacket. I don’t like to sell somewhere else the oversize jacket so I decided to return the item instead. Before you return the item, have a look at the return policies. There are tips for different products bound for shipping back to the seller. Step 1: Log in to Amazon.ca. Step 2: Go to Your Orders and find the item you want to return. Step 3: Click View return label & instructions. Step 4: Print the return label and follow the instructions. You have to pay out of pocket the shipping cost (refundable). Don’t be surprised though with the address. It will somehow look like the address below. I searched the address but even Google can’t find it so I asked the seller and vouch that it’s a real address. OK. Fine. Fictional seller address in China (it resembles the address I received). Step 5: Sent the item through a courier of your choice. I gave the seller the benefit of the doubt and sent the item to China through Canada Post. I paid $20 ish plus the packaging that is also available in the store. Tip: Ask and pay extra for a shipping service with tracking number. My bad. I paid for a regular shipping and had NO way to track the item. Having this would have facilitate my request for refund on Amazon. At this point I’m also getting an email from Amazon Customer Service and the seller. I was told that the parcel will arrive from Canada to China in two weeks. It’s been more than a month and the seller hasn’t received it. At one point, the seller stop responding. I resorted to other ways of resolving the issue which you can also follow. Chat through the Amazon Contact Form. Request a refund after shipping the item back to the seller. (Log in > Your Orders) Don’t forget to send a copy of the receipt for shipping to Amazon and the seller. The easiest way to get the attention of Amazon is through chat. 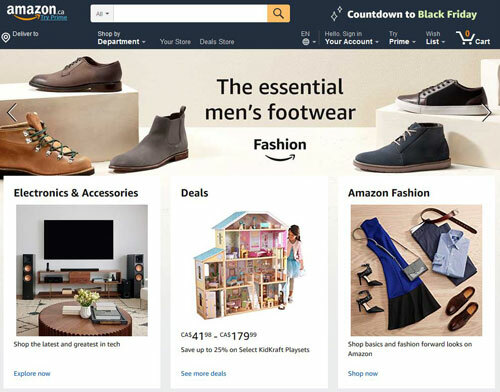 Always log in on Amazon whenever you are chatting to provide immediately any information such as Order ID. As for me, I kept all the record of conversation on a notepad and other important dates. Remember: Claim the refund as fast as possible. One of the customer support informed of how I can get a refund in spite of going beyond the eligible claiming period. Since the 90 days A-Z claim window has passed I’m not able to file a claim against the seller from my end to process the full refund. In this case I’ll contact our guarantee investigation team by email and they’ll be able to process the claim and get back to you by email within 24-48 hours. After this chat, I was optimistic that success in on the horizon. The chat worked. I received an email from Amazon asking me to call. Can we just go back to sending chat messages because I hate making phone call. Although I had a long conversation over the phone, the customer support was efficient in updating me of what’s going on since she has to consult someone with authority in the Guarantee Investigation Team. At the end of the call, I was granted a refund for the item’s price plus the shipping cost. You must if you want to get a refund. But it’s not just about getting your money back but also building an inspiring character. I attributed my success (it’s a huge deal for me to get a refund in less than a year) by being calm and patient. In the same day the timing is right for inspiring word from my favourite author. Mel Robbins talked about good intentions on her YouTube channel. Her content is amazing and if it resonates with you, don’t forget to subscribe. Although, Amazon is a huge company that aims to make profit out of consumer’s wants and needs, I have to think that the company has good intention for their customers especially when it comes to giving a refund. Because I waited long enough, I am excited to use the refund to buy a power bank. In the past, I received a gift certificate as a refund which I can use to buy anything on Amazon Canada. But this time, I received a promotional certificate which has a downside. The promotional certificate can be used to ONLY order an eligible item sold and shipped by Amazon.ca. Now I scrambled to see what’s on my wish list because I don’t want to buy random things just so I can use the refund. Searching for eligible items that I want was a lot of work. Fortunately, I bought two items (tablet case and ink printer) not out of whim. You bet I will but I’ll be more careful who I’m buying from. I don’t mean to discriminate anyone but I don’t want to go through this long ordeal again. Although every seller is different regardless of location, I’ll not wander off the sidewalk. I’ll stick to reputable seller in North America. In the future I’ll shop as a person living Mel Robbins advice: “Assume everyone around you has good intentions.” And that goes the same with life. Have you had the same experience? How did you deal with it? PREVIOUS: Do I Really Need a Cordless Waterpik Water Flosser?